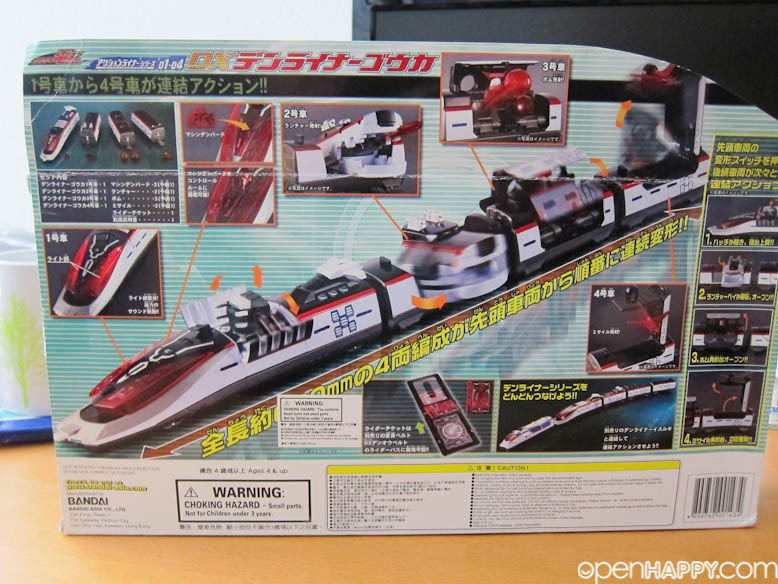 Bandai's Action Liner Series offers a cool lineup of time-traveling trains from "Kamen Rider Den-O," with each car featuring fun gimmicks and able to connect to each other to form a super-long train! 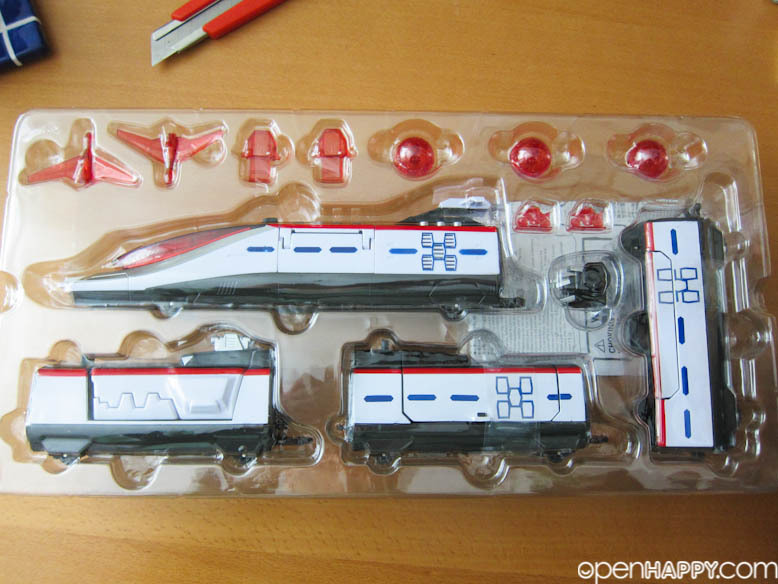 This deluxe set includes four cars that connect to form DenLiner Gouka, which measures 63cm in length. 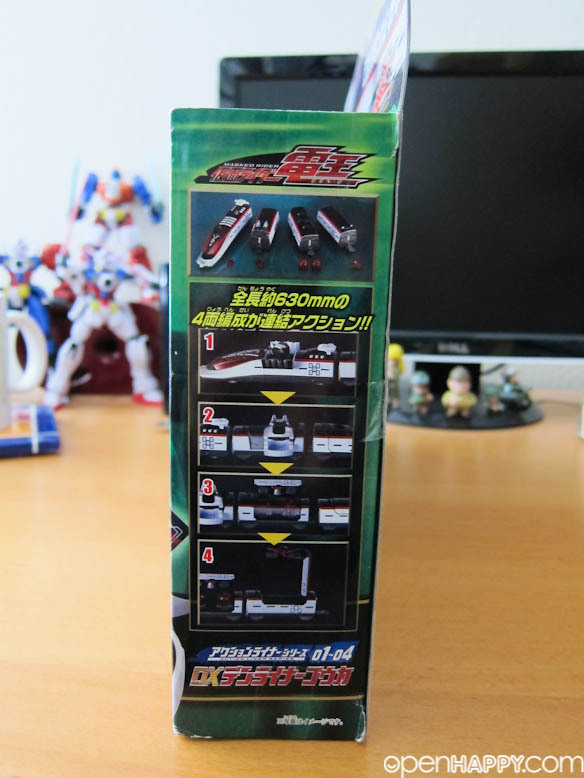 Each car features compartments that can be opened to reveal a weapon: car #1 has a pop-out laser cannon, and a Machine DenBird (two DenBirds are included) can be inserted inside the head compartment; car #2 swings sideways and shoots launchers (two launchers included); car #3 throws bombs (three bombs included); and car #4 launches missiles (two missiles included). 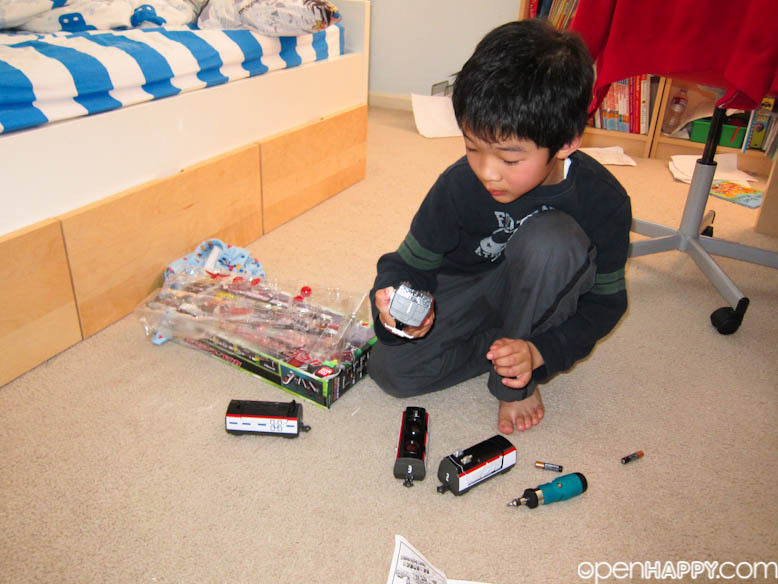 Two AAA batteries (not included) are required for playing the sound effects and lighting up the "eyes" of car #1. 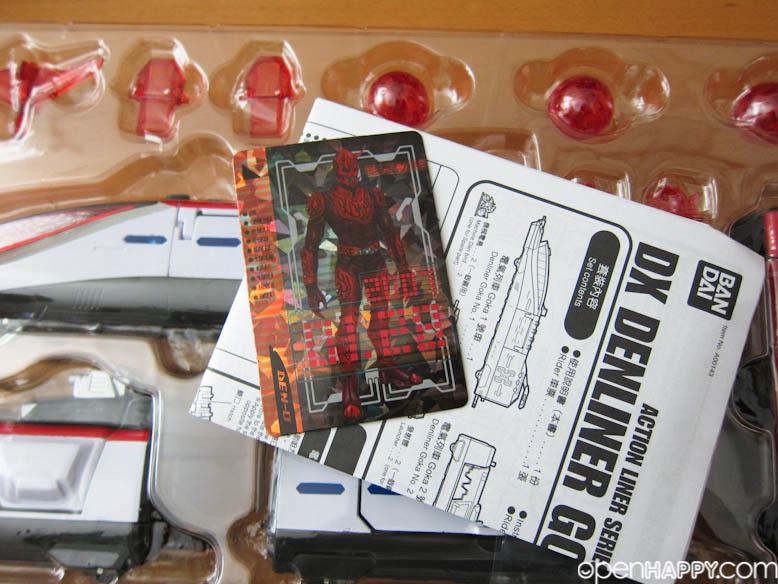 A Momotaros Rider Ticket is included for use with the Rider Pass that comes with the DX Den-O belt (sold separately). 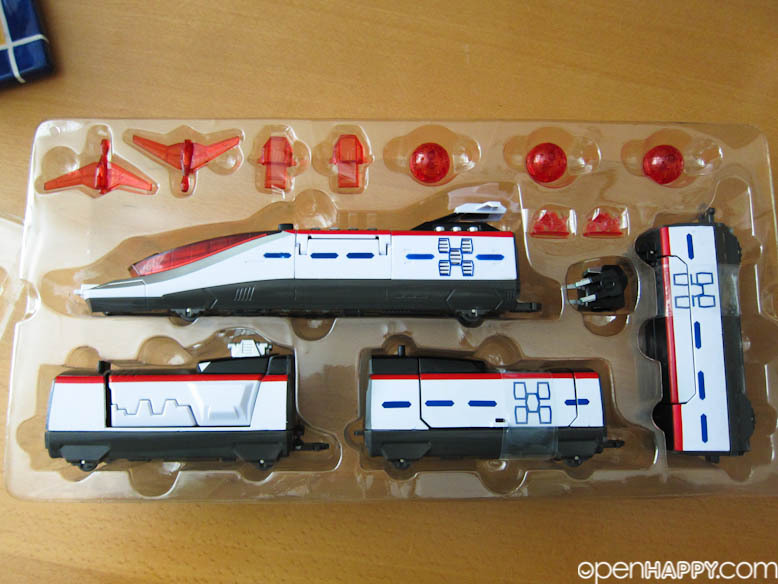 Connect DX DenLiner Gouka with the rest of the trains from the Action Liner Series to form one long train! The original price is about 76 USD (6000 yen). I got it for about 12 USD in a wonderland sale at Hong Kong. The happy boy with the gift. 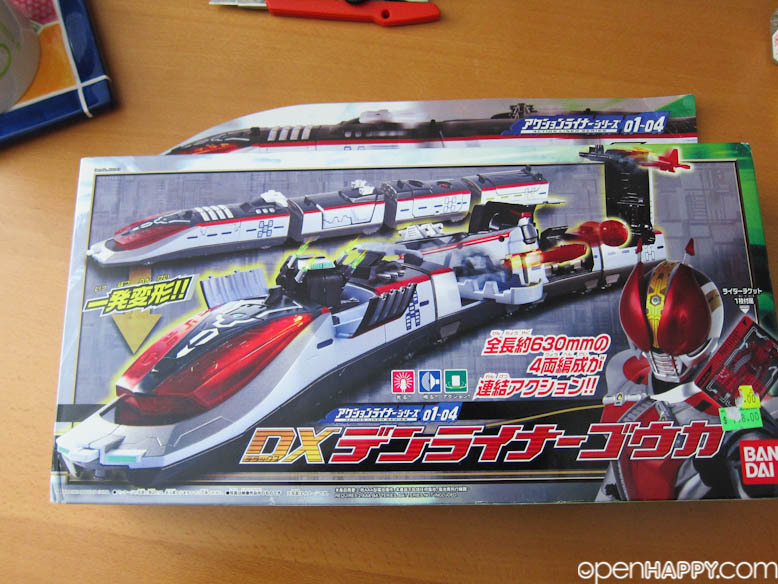 It is a DX item, so there is a lot of stuffs here. 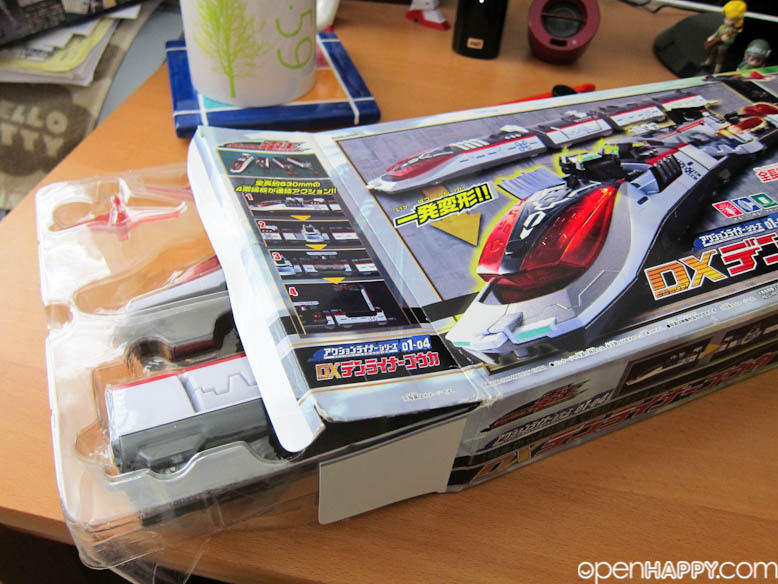 It comes with a Den-O card. There are so many different type of cards, I don't even know what this one will do. Anyone? Put some battery in, and you are in business. 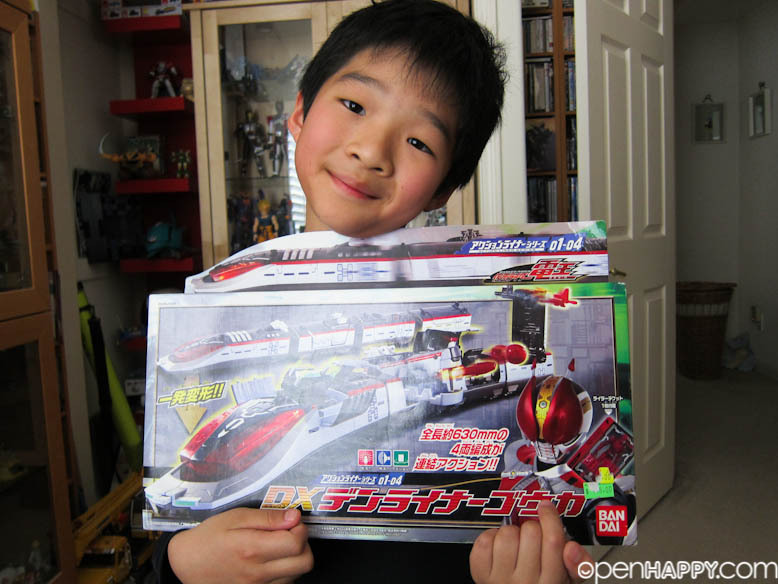 By the way, the train is a kamen rider toy and not really a train toy. It actually does not really turn. What it does is that you can line it up in straight line and press a button to make all the weapon pops out. The engine also has a few different sounds. It is fun but you cannot really put on any type of track to make it ride.